Michael Wayne Floyd from Inglis has been located. Late yesterday afternoon, Richard Floyd, Michael’s father, was contacted by a hospital in Chicago, IL. Medical staff told him Michael was in their facility as a patient. Mr. Floyd contacted LCSO who was able to verify Michael was being treated for an unknown illness but is expected to make a full recovery. LCSO was told by family Michael made the decision to leave on his own and no foul play is suspected. This is a Joint Press Release issued by the Levy County School Board, Williston Police Department and the Levy County Sheriff's Office. On the afternoon of March 27, 2015, Levy County School Board personnel and LCSO Deputies became aware of a handwritten note found at Williston High School. The writer of this note made threats to commit violent acts at WHS on Monday March 30, 2015. Through the combined efforts of all three agencies, a 17 year old female Williston High School Junior has been arrested. Investigators were able to develop the juvenile as a suspect and quickly obtain a verbal confession. After conferring with personnel from the 8th Circuit State's Attorney Office, the suspect was taken into custody and charged with Making Threats for the purpose of Extortion. The evidence shows that the note was delivered for the purpose of compelling the removal of a WHS teacher that the suspect did not like. The suspect was transported to the Levy County Detention Center and released to the custody of the Florida Department of Juvenile Justice. Despite the arrest, the investigation is continuing. Anyone who has information regarding anything related to this incident is encouraged to contact LCSO at 352-486-5111 or anonymously through CrimeStoppers at 1-877-349-8477. LCSO is actively investigating the incident jointly with Levy County School Board administrators and Williston Police Department. At this time, no evidence has been uncovered to validate any threat made in the note. Additional updates will be provided to the public as they become available. These will be provided through public press releases, the School Board's "Phone Home System" and the websites of both the School Board and Sheriff's Office. Anyone who has information regarding the note writer or anything related to this incident is encouraged to contact LCSO at 352-486-5111. Tips can also be made anonymously through CrimeStoppers at 1-877-349-8477. The Levy County Sheriff’s Office is seeking any information the public may have concerning the whereabouts of Michael Wayne Floyd (11-28-1987). Floyd left his home located on Highway 40 West in Inglis, Florida on March 23, 2015 at approximately 12:00 pm to run an errand for his family. His destination was in Clearwater, Florida. He never arrived at his destination. Credit card records indicate Floyd stopped at the BP gas station located at 662 US 19 NE in Crystal River shortly after Noon on Monday March 23. Floyd purchased gasoline and video surveillance shows an unknown individual was with Floyd at this location. On 3-25-15 a parking lot attendant located Floyd’s vehicle in an open parking lot in Chicago, IL. 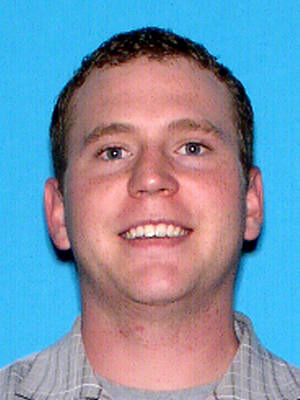 The vehicle is a silver colored 2006 Honda Accord 4 door with Florida tag DIHW19. Floyd was not with the vehicle. The vehicle keys, his cell phone and other personal items were found inside the car. The Sheriff’s Office has not confirmed if there are any suspicious circumstances surrounding his disappearance. Any person who could assist in locating Michael Wayne Floyd is asked to contact the Levy County Sheriff’s Office at 352-486-5111 or you can anonymously call Crime Stoppers at 1-877-349-8477. On March 12, 2015 at approximately 9:30 PM, Deputies from the Levy County Sheriff’s Office responded to a reported armed robbery near the Post Office in the Town of Bronson. The elderly white male victim reported that he stopped his vehicle near the outside mail box while making a phone call. An unknown black male subject entered the Victim’s vehicle on the passenger side and immediately put a knife to the Victim’s throat. The robber demanded that the Victim turn over his money and threatened to kill the Victim if he did not cooperate. The subject stole several hundred dollars in U.S. Currency from the Victim. The robber then demanded that the Victim drive him away from the crime scene. The Victim complied and after driving a short distance, the robber exited the vehicle with the Victim’s cash and vehicle keys. Deputies responded and attempted to locate the suspect. Corporal Kevin Kinik deployed his K-9 “Zombie” and was able to track the suspect approximately one mile before losing the trail near Main Street and State Road 24. LCSO reminds the Public to always be vigilant and aware of their surroundings. LCSO urgently needs assistance in locating this dangerous offender before he can strike again. Information can be given anonymously through Crime Stoppers of Levy County at 1-800-349-8477 which may entitle the reporter to a cash reward. Information regarding this crime can also be reported to LCSO at 352-486-5111. The Levy County Sheriff’s Office responded to a Bronson area gas station at the request of the manager. The manager reported finding a device attached to one of the pumps which was not part of the normal operating components. The manager removed the device and turned it over to our office. He was not able to determine how long the device had been in use on this pump. Only one device has been found, but Investigators are looking at other locations to verify no other devices have been installed throughout the county. Research has determined the device is a “skimmer.” The device is used to collect the credit card account number, card name and other information the magnetic card strip contains. This information is then used to make a “clone” of the unsuspecting card owner’s card, and can be used in various locations throughout the world to make purchases. The LCSO is urging all Levy County Citizens to closely monitor their bank and credit card accounts on a daily, if not more frequent basis, to quickly identify fraud. Should you notice unauthorized charges on any of your accounts, quickly call your financial institution and freeze the account and then call LCSO to make an official report. On March 9, 2015 Timothy R Thomas registered as a Sexual Predator with the Levy County Sheriff’s Office. By Florida law Thomas is required to notify law enforcement whenever he changes addresses. 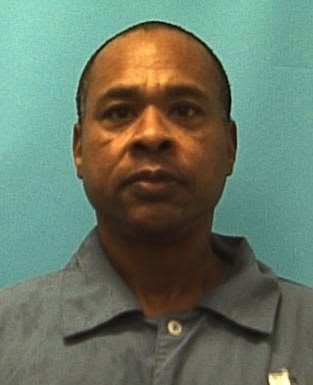 Timothy R Thomas was convicted in 2005 in Alachua County, Fl for Sexual Battery by an Adult on a child under 12; F.S. 794.011. Thomas has registered his change in address as: 21161 NE 35 Street, Williston, Fl.